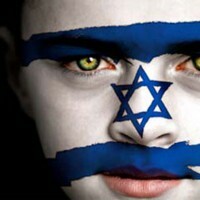 You are here: Home › Liberal Zionism › What if the left abandoned Israel? What if the left abandoned Israel? This article first appeared in The Times of Israel and appears with permission of the author. Really, though. Most people don’t care. There will always be the usual suspects, people of a certain age or political-religious disposition who care a lot about Israel. Leftwing or rightwing, we carry a lot of personal baggage and ideological investments without which we would probably be better off. All I can say is that it now no longer shocks me how little my colleagues at Syracuse University and students (graduate and undergraduate) are even interested in the news from Israel anymore. And when they do pay attention for the briefest of moments, it’s more like watching a train wreck than anything else. It’s this deafening indifference and distant remove that should make anyone who genuinely cares about Israel to tremble truly. I don’t think any amount of hasbarah or hectoring on the part of rightwing Jews is either going to change this fact or not make it worse. Anything that gets said digs the hole deeper. I used to think that American Jews had the right and obligation to stake ideological claims in Israeli politics. I was wrong. I don’t have anything to say. Legalize outposts? Go ahead. Beat the hell out of Hamas or Hezbullah? I won’t object. Hit the Iranians? I hope you all know what you’re doing, because the mess is yours if you make it, and there is not a lot that the American Jewish community will be (able) to do if things go south. Desecrate mosques, uproot olive trees, beat up a Danish demonstrator, pass racist legislation, muzzle criticism, harass people at the airport? I guess that’s what it has come to. This is the “silver platter” of the Palestinian people. Beinart’s 2010 essay in The New York Review of Books, “The Failure of the American Jewish Establishment,” raises a similar, albeit not identical, issue. For Beinart it was about young American Jews becoming increasingly apathetic about Israel. This is also reflected in a 2007 sociological study by Ari Kellman and Steven Cohen, “Beyond Distancing: Young Adult American Jews and Their Alienation from Israel” (PDF). But Braiterman’s point is a different one: Increasingly, informed people on the Jewish left are simply giving up. Perhaps they are tired of being called “anti-Israel” or “self-hating Jews,” or of being accused of aiding and abetting anti-Semitism. Perhaps they see the continued erosion of the Zionism of their youth and the rise of a jingoistic, ethnocentric, and intolerant country they no longer recognize or can identify with. What would happen if Braiterman’s anguish became a more common phenomenon? What if it already is? Historically, the Zionism of Braiterman was the norm. Even given the less-than-charitable things Ben-Gurion had to say about the Arabs and the ways in which Israel treated its Arab population during times of conflict, the Zionist mainstream was committed to a humanistic and liberal ethos, even as it failed in significant ways. The Revisionists were a marginal group throughout much of Zionist history; the left ruled Israel from its inception until the victory of Likud in the 1970s. Even then, Meir Kahane’s Kach party was banned from the Knesset as “racist.” And the Zionist messianism of Rabbi Zvi Yehuda Kook did not gain real mainstream prominence until the late 1970s. The anti-statist Zionist left in the pre-state era, like Brit Shalom, and later, anti-occupation movements such as Peace Now in Israel, or even the short-lived Breira in the US, were not unequivocally outside legitimate discourse until recently. As Gershom Goremberg discusses in his “The Accidental Empire,” in the 1970s there was a robust debate about the ethics of the occupation that engaged even by those who supported it. One does not hear much of that kind of reflection from the right (Rabbi Yehuda Amital of Gush Etzion and some of his students are notable exceptions). Even the sincere soul-searching of “have we gone too far?” in the immediate aftermath of Rabin’s assassination seems to have dissipated. Someone with the political inclinations of Teddy Kollek could never be elected mayor of Jerusalem today. Present legislation that borders on racism would not have so easily passed initial readings in past Parliaments. In the past, the left would not have given up on Israel, because the critique of the left was an integral part of Israel’s social and political culture. Is hasbara the new Zionism? Things have changed. Globalization has seduced part of those who used to be on the Israeli left into global capitalism, drawing their attention away from the fabric of the country in which they reside (increasingly, many have second homes in Europe or the US). They haven’t given up on Israel per se but have given up on caring that much about the things that drive the critique of the left. They know they can always leave. Many already have. The unspoken merger of the messianic and neo-revisionist right, coupled with the politicization of the haredi community — Shas being the most obvious exemplar — has given rise to an increasingly uncompromising ethnocentrism and, arguably, a redefined Zionism. Many American Jews who support Israel largely as a source of their own identity, but are not very knowledgeable about the history of Zionism, have been convinced that this new amalgam is Zionism. For example, my nephew had a course in his senior year of high school in a Modern Orthodox Day School in a major American city called “Israel Advocacy.” Not “Zionism,” or “A History of Zionism,” but “Israel advocacy.” In discussing the course with him I asked him some very basic questions about Zionism and Zionist history. He knew very little. In some very real way, it did not matter. If the left had abandoned Israel 30 years ago, the Zionist mainstream might have been able to correct itself and attain a balance necessary for its rightful place as a society among the nations of the free world. The liberal infrastructure of the Zionist project was still very much in place, both in the Knesset and in the larger culture. Arguably, this is no longer the case. The cultural, religious, and political changes in the country have yielded a war against the left that has brought Braiterman, and many others like him, to the brink of saying “we no longer care.” It is not that these individuals are ignorant or do not “understand.” They understand quite well and are deeply informed — not only about the political realities but about the underlying history of the conflict. Many have spent considerable time in Israel and speak and read Hebrew. Many were members of Zionist youth movements when they were young. They cannot be cajoled by the hasbara project that focuses on the uninformed American Jew. Perhaps after being accused of abandoning your people for so long, well, you just might abandon your people. Shaul Magid is the Jay and Jeannie Schottenstein Professor of Jewish Studies at Indiana University/Bloomington.. He writes regularly for Religion Dispatches, Tikkun Magazine, Shma Magazine and Zeek Magazine. He is also the rabbi of the Fire Island Synagogue in Sea View, NY.